March is here which means St Patty’s day is just around the corner. Traditionally this holiday is filled with Irish ale, car bombs and green beer. Great options, yes, but we were hoping for something a little more fun to hold. Enter Sparkling Shamrock Champagne – bubbly, a tad sweet and pretty in green. The ideal cocktail for anyone feeling fancy on St Patty’s. Take a melon ball and run it around the rim of a champagne flute. Dip rim in sugar. 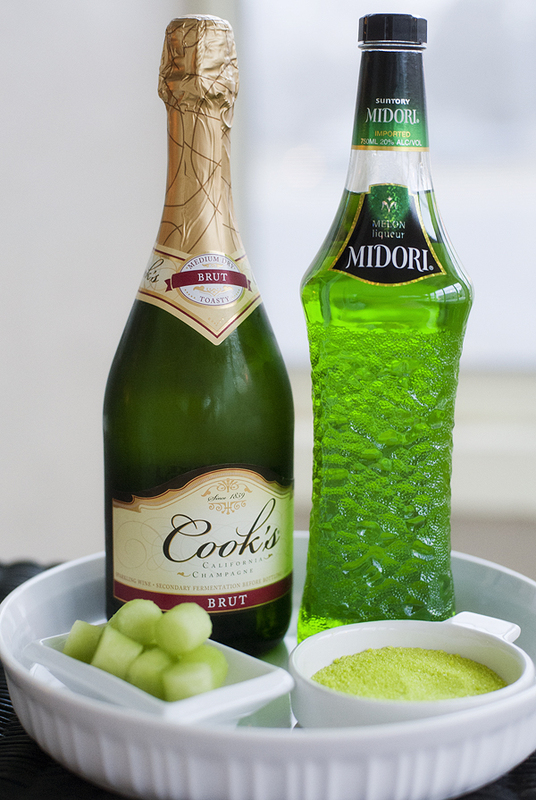 Pour 2oz of Midori in glass then top with champagne. 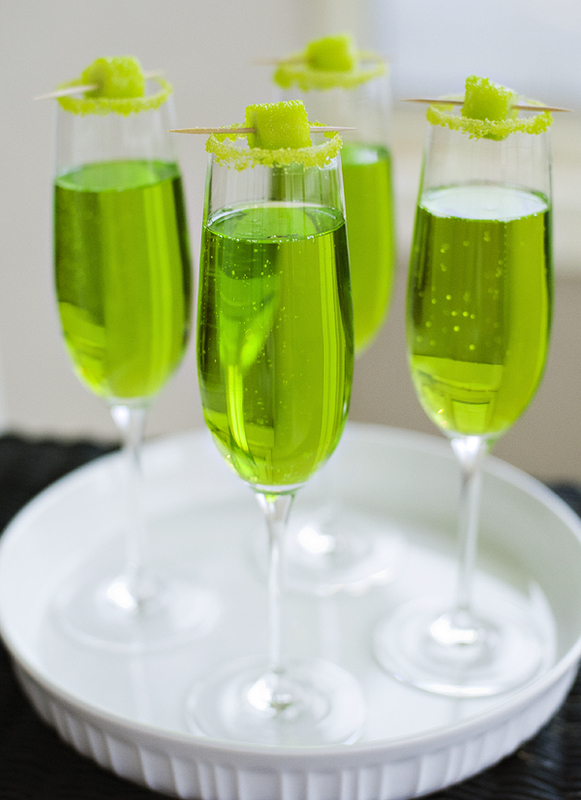 Place a melon ball on a toothpick, cover in sugar and place on top of champagne flute. Drop melon ball in glass right before drinking for maximum bubble pleasure and a touch of extra sweetness. Enjoy! Cheers to March, the weekend and pretending we are Irish later this month!